Nintendo ended this morning’s Nintendo Direct presentation with a trailer for the newest entry in its Super Smash Bros. brawler franchise. 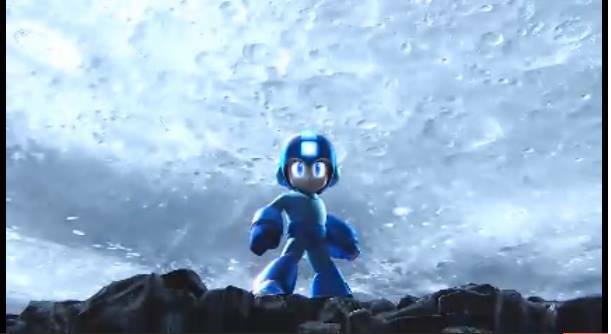 The video showed off some new combatants – most notably Capcom’s Mega Man. The Blue Bomber joins the fray when the game launches for 3DS and Wii U next year. The video gave gamers a glimpse at how the character would play, showing off some powers stolen from Robot Masters, including Leaf Man’s leaf shield and Sword Man’s flaming sword. A Mega Man-themed battle stage was also visible in the video. Also jumping into the ring is Animal Crossing’s Villager, who brings his folksy, cutesy charm into the arena and battles with his bug-catching net, chopping axe and shovel (and also uses, apparently, a balloon-helmet to float through arenas). Super Smash Bros. will launch on both of Nintendo’s platforms next year, and the website and Miiverse community will launch today.